Last month, Gov. Jerry Brown signed 15 bills into law, taking a historic step to address our housing crisis and offer relief for countless families, seniors, veterans and people with special needs across the state. Ultimately, the state’s new legislation seeks to help us achieve our housing goals through streamlining residential development and providing a portion of much-needed permanent affordable housing financing sources that have gone unfunded for many years. While the 15 bills recently signed into law aren’t perfect, they are positive step in the right direction. It seems the governor and legislators finally understand the gravity of the housing crisis, and are attempting to find solutions and willing to work with us to address it. Three bills in particular stand out as having the greatest potential for change. ▪ SB 35 will encourage more housing by ensuring local governments facilitate residential development for people at all income levels. ▪ SB 2, also known as the Building Jobs and Homes Act, will create the first permanent, recurring source of funding for affordable housing in California’s history. ▪ SB 3, the Affordable Housing Bond Act of 2018, will go before voters in November 2018. If approved, the $4 billion housing bond will finance affordable rental and veterans housing. The housing package is a great step in the right direction, but it is far from a fix-all. The problem is complex and requires big ideas and significant funding to turn around. 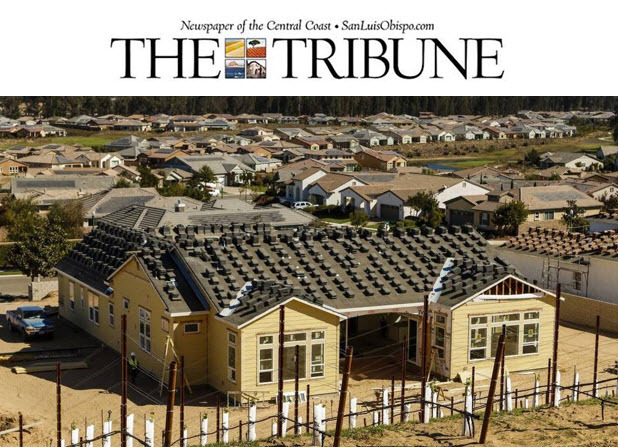 The state Department of Housing and Community Development reports that California is about 100,000 units short of meeting the housing demand in California each year, meaning in the last 10 years, we have built 1 million units less than needed. We still have a lot of work to do. We should not abandon or ignore workable tools already in place. If we do not respond now with our own plans and local funding sources, we jeopardize losing local control to state and national governments that will regulate our housing crisis for us. Our ability to maximize the success of the housing package is contingent upon our city and county elected officials and their commitment to invest local funding toward housing solutions. While financing affordable housing is incredibly complex, one concept is very simple: Local funds are required and go a long way. Often, $1 in local contributions can be leveraged for $10 of equity, including private investment capital from outside our community, through a combination of federal, state and private financing partnerships. Now that we have some real support from our governor, let’s leverage that locally with our own matching funds, streamline development opportunities, revisit our burdensome fee structure and build more housing for future generations.